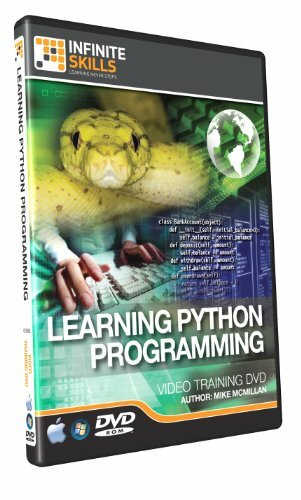 In this training course from expert programmer and author Professor Mike McMillan, you will learn how to program with the popular development language, Python. This tutorial is designed for the beginner, and you do not need to have any experience at all with programming or development in order to learn how to program with Python using this video tutorial. Some of the topics that Mike covers throughout the training include installing Python, data types and creating variables, input and output, decision making and repetition, iterators, list comprehension and functions. He also covers variable scope, modules - creating and using pre-built ones, object oriented programming, inheritance, exception handling and using data structures. By the completion of this video based training course on Python programming, you will be comfortable with Python and how to apply it to developing applications. Throughout the course you will apply what you learn in real-world examples, reinforcing what Mike is teaching you. Working files are included to allow you to use the same source material that the author does in this training course.